Computer Vision | Optometrist In Wichita | Wichita Optometry, P.A. Many people rely on a computer and/or smartphone for a majority of their work and leisure activities. If you're one of them, it's important to realize that you may be at risk for a syndrome known as computer vision. 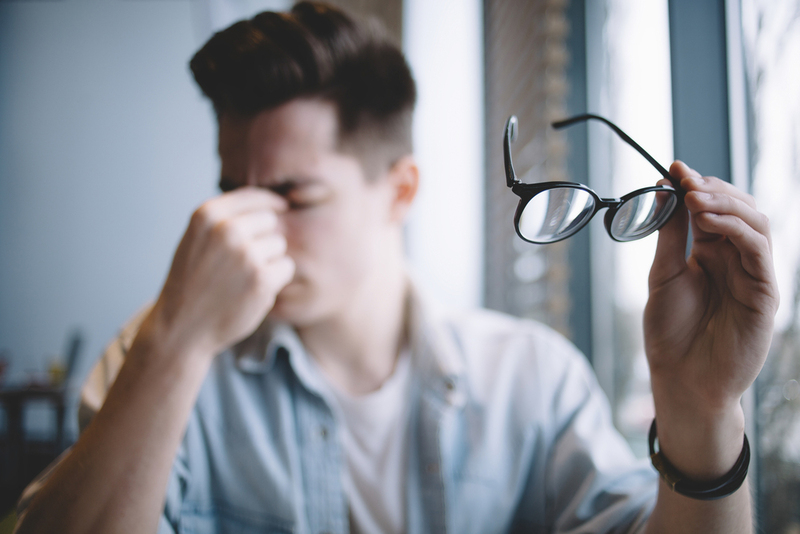 At Wichita Optometry in Kansas, our staff of eye doctors helps men, women, and children prevent this condition and recover from it so they can use their digital devices more comfortably. People tend to blink less while using computers and smartphones. But we need to blink to replenish the film of tears covering our eyes, which is meant to protect and moisturize the ocular surfaces. People stare and frequently have to focus and refocus while reading or watching videos on computer screens, which can tire the eyes. Bright contrasts, flashing lights, and an increased exposure to powerful blue light can strain the eyes. Many people assume a poor, slouched posture while using computers or smartphones. While these symptoms are generally temporary, they can be uncomfortable and impact productivity. Also, excessive exposure to blue light can increase the risk for certain eye health disorders, including cataracts. Take more frequent breaks while using your computer. Think 20/20/20: every 20 minutes, look at an object 20 feet away from your computer monitor for at least 20 seconds. Consciously blink more while using your computer (and ask us about treatment options for chronic dry eyes, including medicated eye drops). Adjust the contrast and brightness on your screen for improved comfort. Install a blue light filter app—or get a special blue light protective coating on your prescription eyeglasses—to reduce exposure. Make sure prescription eyewear is up-to-date to avoid squinting. Don't let your computer use affect your eye health. Call our Douglas Ave office at (316) 942-7496 or our Amidon office at (316) 838-7797 to schedule an appointment with one of our experienced optometrists at Wichita Optometry, P.A.